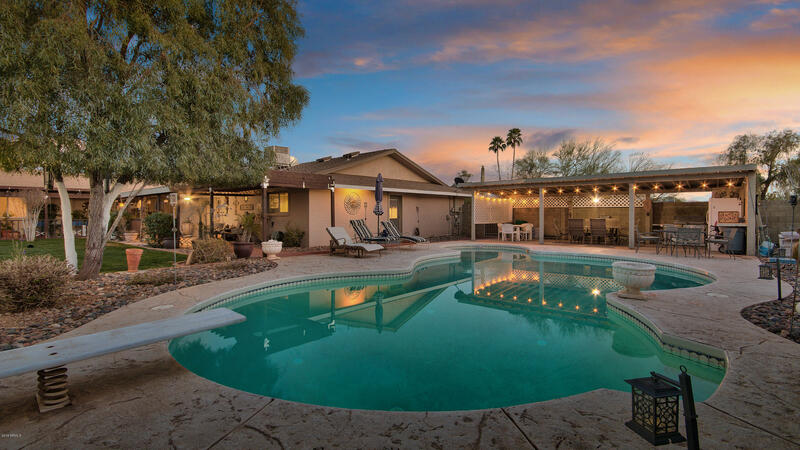 All Sunburst Farms homes currently listed for sale in Phoenix as of 04/20/2019 are shown below. You can change the search criteria at any time by pressing the 'Change Search' button below. "SUNBURST FARMS LUXURY ESTATE. Expansive and elegant, this total reconstruction is perfectly positioned on almost a full ACRE in the Magic 85254 Zip Code's Sweetwater Corridor. The refined interior features massive living spaces with 10' ceilings, low-E dual-pane windows and engineered Hickory floors. The oversized slab granite countertop is a work of art in the professional eat-in kitchen. Stainless appliances, a 6-burner gas range & eat-at bar. Luxurious master, exercise room & bonus room with "
"Welcome Home! This charming Paradise Valley Estate on 3/4 of an acre is a MUST SEE. Lots of updates and with pride of ownership. Main house features an updated spacious kitchen with new granite counter tops. Cozy great room with fireplace. Movie Theatre/Game room. Split master bedroom floor plan for privacy. All on one level! The detached Casita/Guest House was built in 2009. It features a full kitchen, family room, 2 bedrooms and 1 full bathroom. This estate is a car lover's dream! 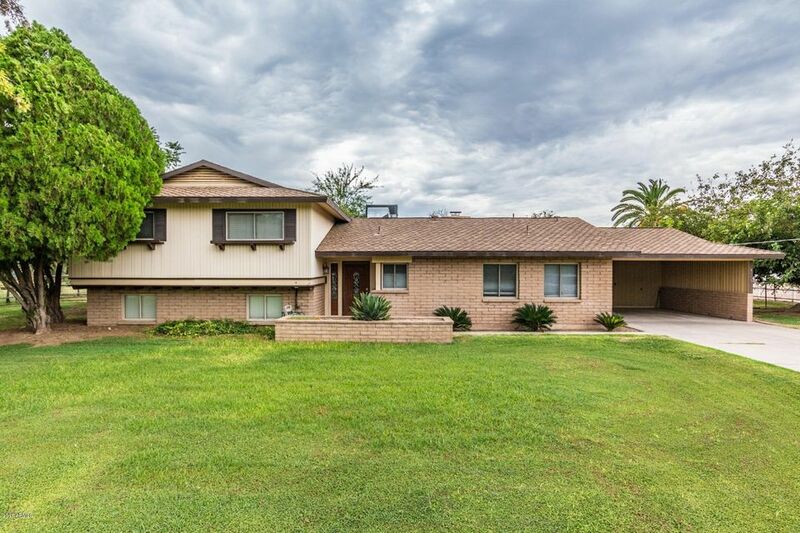 Attached 4 c"
"Amazing 4 bedroom, tri-level home available on huge lot in North Phoenix! 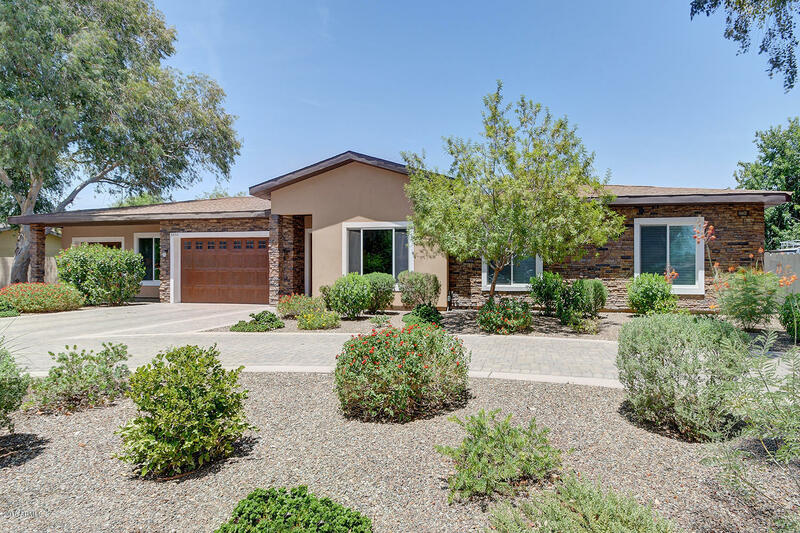 The property is gorgeous, with lovely mature trees and a grassy lawn, you feel as if you are in your own desert oasis. Inside you will find a spacious living area with a cozy fireplace and sliding glass doors to the back patio. The large eat-in kitchen is bright and inviting, with an abundance of lovely wood cabinetry. The four bedrooms are sizable, with the master offering its own private bathroom. 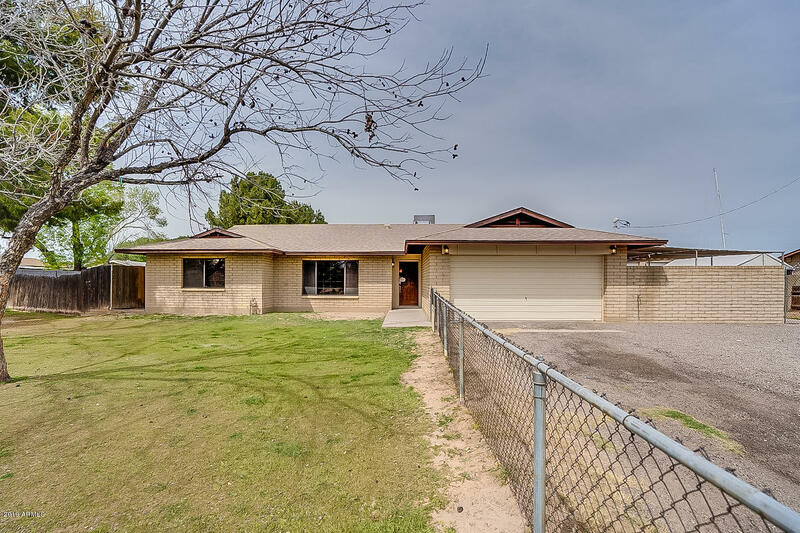 The backyard includ"
"Come view this 4 bedroom/ 2 bath, single story home in Sunburst Farms that offers fresh paint, new carpeting and LVP, and under an acre of land. The kitchen has new granite counters, freshly painted cabinets, and stainless steel appliances. The master boasts an attached ensuite and ample closet space. In the backyard, the covered patio open to a personal farm with space for horses, chicken coupe, and other animals. Close to shopping, dining and the highway. Come view this home today!"